CARQUEST is the premier supplier of replacement auto parts, accessories, supplies and equipment for virtually all makes of automobiles, as well as light and heavy-duty trucks, off-road equipment, buses, recreational vehicles and agricultural equipment. Additionally, we distribute and sell tools, equipment, chemicals, paint and accessories. 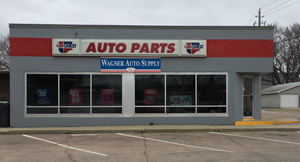 CARQUEST Auto Parts sources our parts from the same distributors as the auto manufacturers to guarantee accuracy and quality. Our distribution network supplies replacement parts, accessories, and equipment for virtually all vehicle makes and models. In addition, CARQUEST provides parts for heavy-duty trucks, off-road equipment, marine and agricultural equipment, buses, and recreational vehicles. Our CARQUEST Guarantee pledges to exchange any part, purchased from CARQUEST, free of charge, at any North America store location. Professional Collision Centers count on CARQUEST to provide them with unparalleled service, equipment and quality products from the leading distributors. CARQUEST Automotive Refinish Supply is a national Paint, Body and Equipment (PBE) distributor with more than 1,000 distribution locations. Each location offers a complete line of PBE products, and stocks an inventory of over 125,000 hard parts. In addition to auto parts, we offer a wide range of CARQUEST professional tools, equipment, accessories and service line supplies for virtually every customers needs. Our Tools & Equipment and Service Line catalogs feature items from choice manufacturers including diagnostic equipment, such as scan-tools, lab-scopes and emissions analyzers; brake and wheel service equipment; as well as, a full line of preventive maintenance equipment. CARQUEST also sell air compressors, air tools, hand tools, tool boxes, lifts, welding and cleaning equipment and many other supplies needed by a service dealer.